RAWALPINDI Jan 16 (APP): Commander US Central Command (CENTCOM) General Joseph L. Votel on Monday called on Chairman Joint Chiefs of Staff Committee (CJCSC) General Zubair Mahmood Hayat at Joint Staff Headquarters. Matters of mutual interest with emphasis on geo-strategic environment were discussed during the meeting. 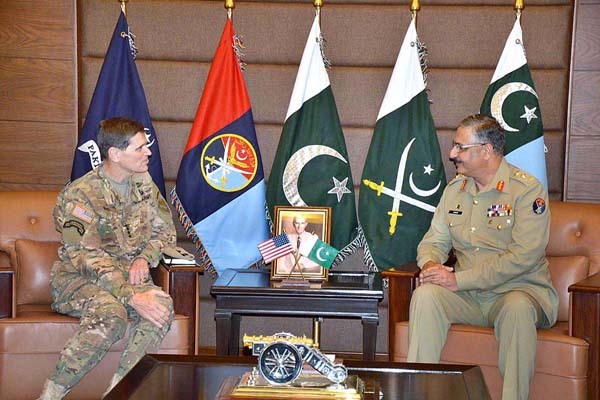 Commander CENTCOM acknowledged the role played by the Pakistan Armed Forces in fighting the menace of terrorism.